All residents are registered with local GPs. 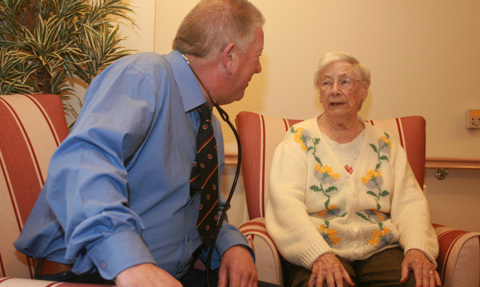 Each week, the GPs make regular visits and a consultation can be arranged for each resident with medical issues. The doctors visit the residents in their own rooms to ensure privacy. In addition, we receive support from the Mental Health Community Team with visiting Consultants, Community Psychiatric Nurses and the Care Managers from the Community Mental Health Team. 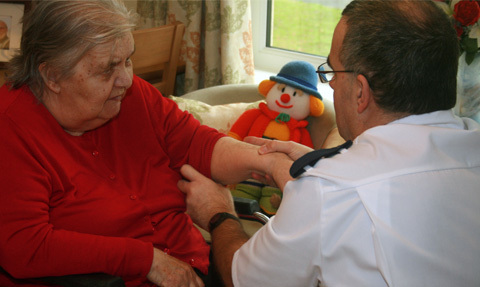 We also receive support from the Community Dietician and the Tissue Viability Nurse Specialist. The Community Dentist visits when requested to do so. The chiropodist visits every six weeks and will visit to see new residents if they have a chiropody need. For hearing problems we refer to our General Practitioner to make the necessary appointments. We use Vision Call for sight tests and dispensing of spectacles. This service provider will engrave the glass of spectacles with the resident’s name, thus ensuring correct usage.